The Cleveland Browns are suddenly building an impressive defensive front. 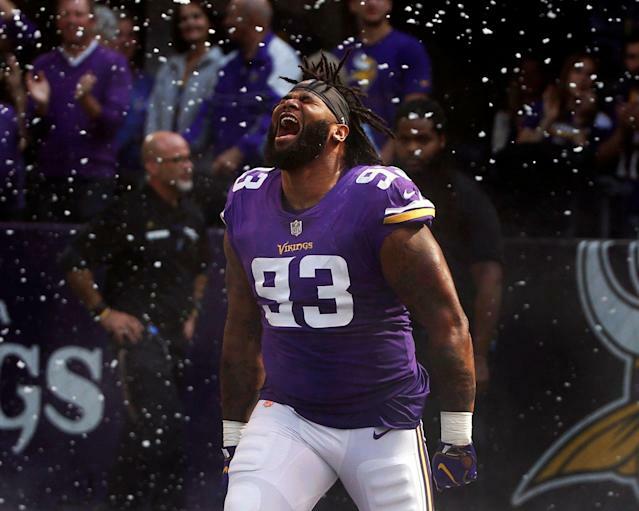 Following the acquisition of Olivier Vernon, the Browns have signed ex-Vikings defensive tackle Sheldon Richardson, according to ESPN's Adam Schefter. Schefter said Richardson is expected to sign a three-year, $39 million deal that includes $21.5 million in guaranteed money. The Browns now feature a front four of Myles Garrett, Larry Ogunjobi, Richardson and Vernon. They also have Emmanuel Ogbah for now, although there has been some speculati on he could end up elsewhere. Even so, the Browns have significantly upgraded their defensive line in the first few days prior to the new league year. How much have they really improved? A former first-round pick of the New York Jets, Richardson has been a bit of a team leaper the past few seasons, having been traded to the Seattle Seahawks in 2017 before signing with the Minnesota Vikings prior to last season. He totaled 4.5 sacks on a talented group but remains in his prime at age 28. Richardson also can play multiple techniques and fronts, which is a benefit for new defensive coordinator Steve Wilks. Both Richardson and Vernon are not coming off their best seasons, but things might open up well in Cleveland with two young standouts in Garrett and Ogunjobi. Pair that with all the excitement on offense around Baker Mayfield, and the Browns really could be building something fascinating this season. What’s left do do in Cleveland? The Browns also need help at cornerback, and the Vernon trade left them thin on the offensive line. Kevin Zeitler was a quality guard, so the pressure is on former second-round pick Austin Corbett to step up into that spot. But you can expect the Browns to mine the offensive line and cornerback pools in free agency prior to the draft to see if there’s a way to keep adding talent to an impressive till. But this also takes a little pressure off of general manager John Dorsey from having to reach with his first-round pick (No. 17 overall) for a need.